Early morning departure from Islamabad ( Hana Restaurant / I-8 Markaz ) for Chilas. We will make lunch break en route at Besham and resuming drive, reach Chilas. On arrival transfer to hotel for dinner & overnight. After breakfast, we will drive to DeoSai plains via Astore and camp for next two nights at some selected site near Shoesar Lake or Kala Pani ( one of the main streams of the DeoSai plains ). 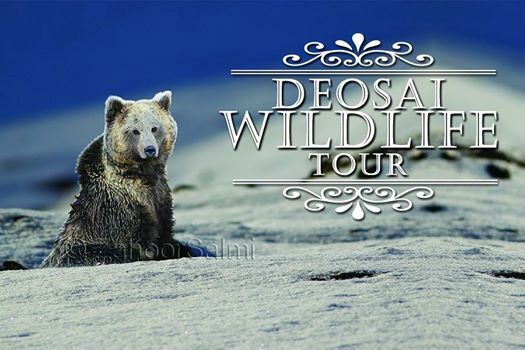 DeoSai plains are located at an average height of 14000 feet above sea level. It’s a treeless wilderness of rolling grasslands with an uncountable variety of Flora & Fauna. We will explore the area, under the supervision of a renowned field expert with a vast knowledge of photography and wildlife. At DeoSai, there are good chances of watching Golden Marmot, Golden Eagle, Vulture, Horned Lark, Red Fox, Finches and Weasel etc. Getting a glimpse of Himalayan Brown Bear would be the highlight of the tour, for which we will make best possible effort. After breakfast, we will pack up for return journey for Islamabad and make an overnight stay in Chilas. Early breakfast & departure for return journey and after a long day in vehicles, we will reach Islamabad and drop at one designated place. We depart from Islamabad and drive to Balakot via Abbottabad & Mansehra and make a stop for lunch at our selected site along the river Kunhar. Later on we drive to Naran and make several photo stops before reaching Naran. At Naran, we will visit the fairytale cave, known as hideout of Fairy Badar Jamal and Prince Saif-ul-Muluk. 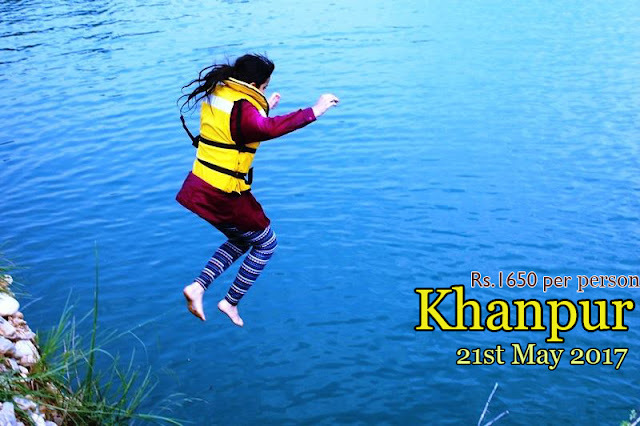 After breakfast, we will enjoy thrilling River Rafting in Kunhar. Optional hike to Lake Saif–ul–Muluk for individuals, interested to make this demanding hike. Evening is free at Naran while a bonfire with BBQ dinner would be memorable. After breakfast, we will start driving for Islamabad via Balakot and Abbottabad. On arrival, drop at one designated place. x Extra expenses due to the acts of nature and political reasons etc. 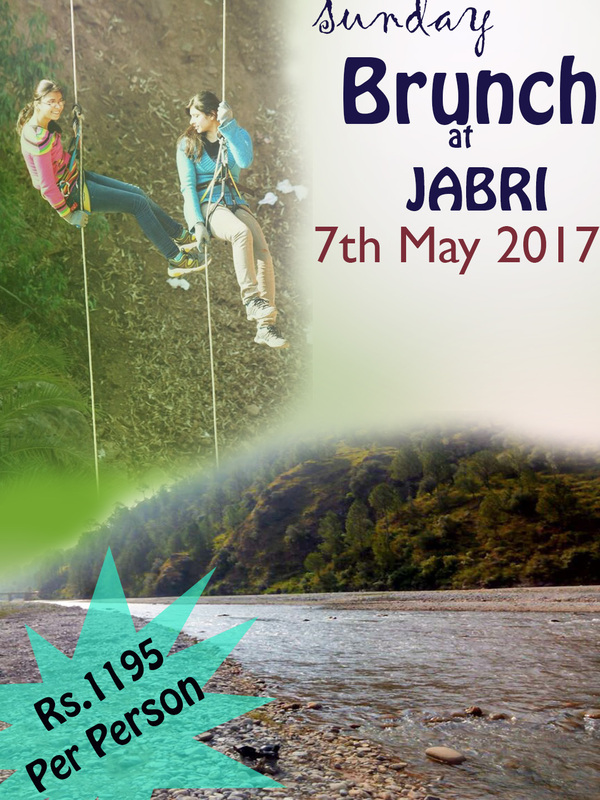 SUNDAY BRUNCH & FUN AT JABRI ON 07 MAY'2017 • Meet up at Hana Restaurant I-8 Markaz Islamabad at 08:15 • Departure for Jabri at 08:30 • Arrival Jabri at 10:00 approx SERVICES INCLUDED ACTIVITIES • Rappelling • Archery • Air gun shooting BRUNCH MENU • Watermelon • Chicken Tikka • Halwa • Puri • Lahori Channey • Aalo Ki Bhujia • Achari Pyaz • Tomato Chatni • Nan • Soft Drink ===================== • Free time to explore • Departure for Islamabad • Arrive at Islamabad END OF SERVICES PACKAGE COST PKR 1,195 Per Person PAYMENT PROCEDURE Confirm your booking with 50% in Advance Payment. Bank Account Details Standard Chartered Bank Account Title = SAIYAH Account Number= 08-4011821-02 Branch= I-8 Markaz Islamabad FOR FURTHER INFORMATION PLEASE CONTACT: 051-4861232-1-3, 0345-5116165 SAIYAH A Destination Management Company Office # 3, Ground Floor Plaza 2000, I-8 Markaz Islamabad.